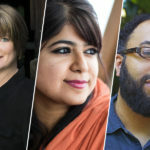 In this episode of This is the Author meet Khalida Brohi, author of I Should Have Honor, Kevin Young, author of Brown, and Jeanne Marie Laskas, author of To Obama. 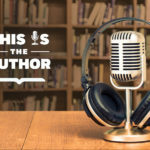 You’ll hear about stories from all over the world from the “voiceless” women in Pakistan, to the voices of one’s childhood, to the heartfelt letters of everyday Americans. Plus, learn why poetry, like song, is meant to be shared out loud.